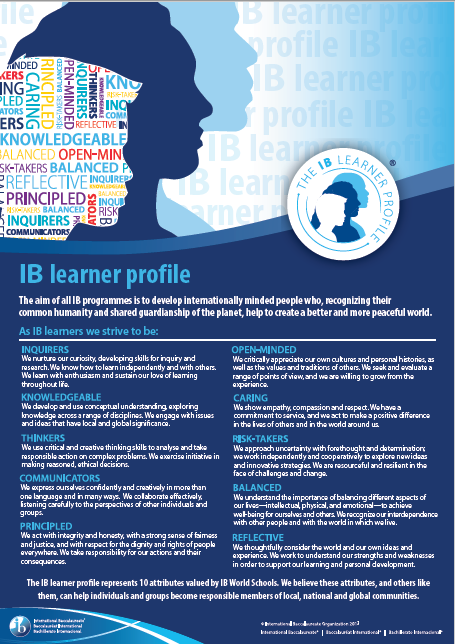 International Baccalaureate > a one-of-a-kind educational experience! Are you ready? Welcome to the Sumter High School IB Website Home Page! The mission of Sumter High School, the hallmark in academics, arts, and athletics, is to provide exemplary learning experiences in order to ensure that each student has the skills to compete in our global society. Sumter High School is committed to the International Baccalaureate Program. Students who wish to be in the International Baccalaureate Diploma Program must be officially enrolled as students at Sumter High School. World-class preparation. International recognition. 21st Century Citizens.